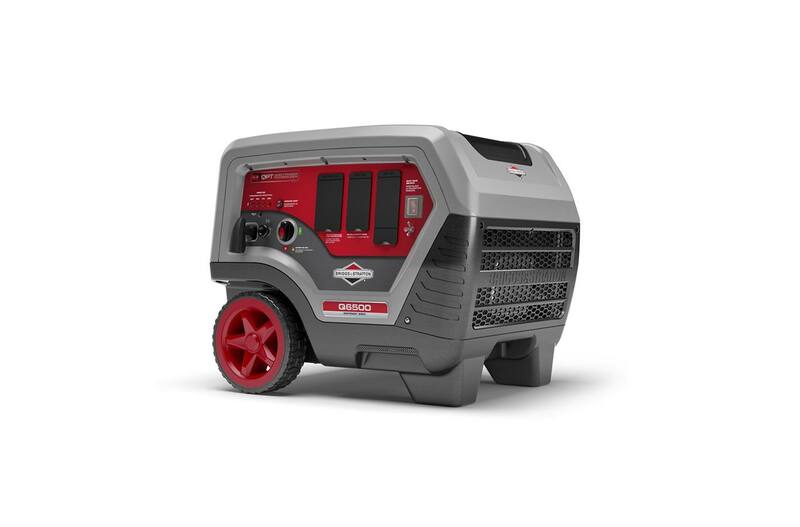 Designed to give you quiet confidence during power outages, the Q6500 QuietPower™ Series inverter generator is more than 60% quieter1 than standard generators and can deliver 6,500 starting watts2 of reliable backup power. QuietPower Series Inverter Technology: Inverter technology produces power that's 60% quieter1 than standard generators while delivering consistent power for essential appliances and sensitive electronics. 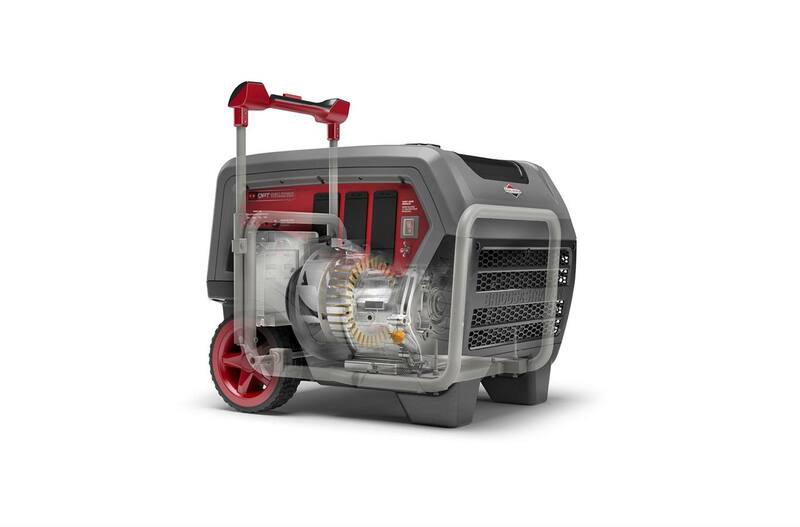 306cc Integrated Engine/Alternator: A highly-efficient integrated engine/alternator provides up to 14 hours of run time3. Protective, Noise-Reducing Shell: With an all-steel frame enclosed in a protective shell, noise is minimized and internal components are protected. 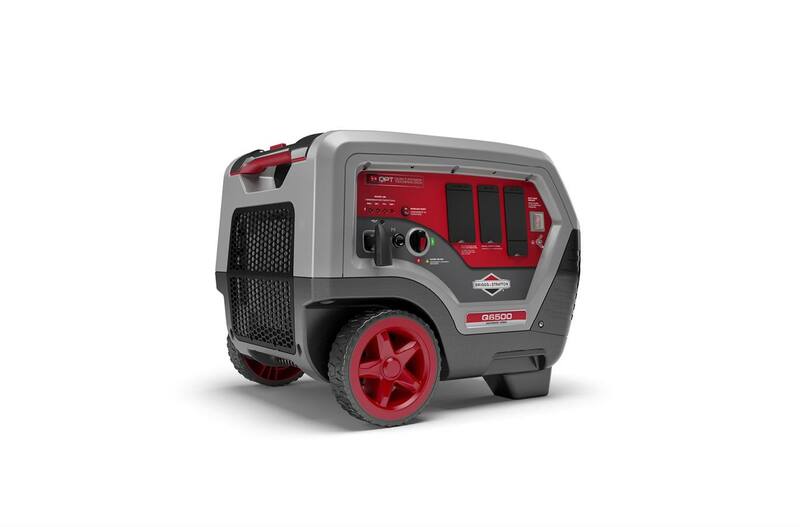 Compact, Lightweight Design: With a design that's 45% more compact and 30% lighter4 than standard generators, moving and storing your generator is no hassle. Telescoping Handle: A suitcase-style telescoping handle makes it easy to move the generator around your garage and property. Multiple Outlets: Power a wide variety of electronics and devices at the same time with 120A-20A outlets (4), USB outlets (2) and a 120V-240V locking outlet. 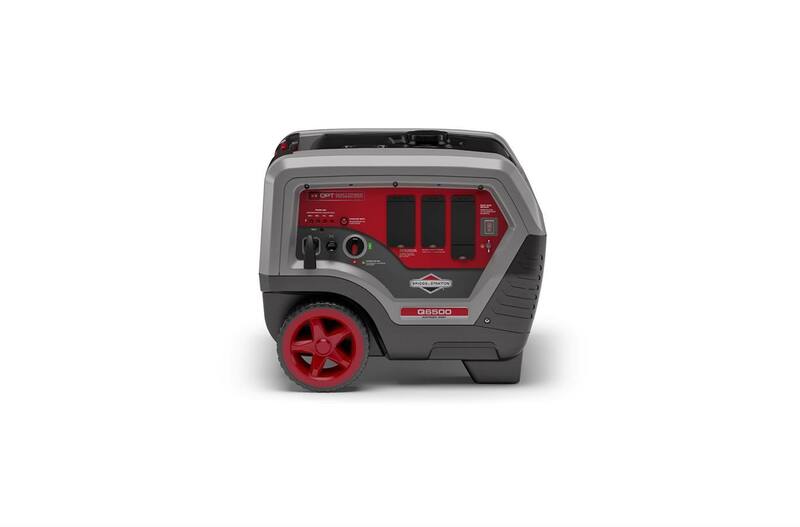 1As tested per ISO2744 sound power standard when compared to standard generator 30607 2This generator is rated in accordance with Briggs & Stratton standard 628K 3At 25% load 4Versus a standard generator 30607 *Generator per PGMA (Portable Generator Manufacturers' Association) standard ANSI/PGMA G300-2015, Safety and Performance of Portable Generators. **See Operator's Manual for complete warranty details.†Sound levels may vary based on proximity and location; measured at 1/4 load at 7 meters from control panel side.